Most sports have a pre-season but what does a club get out of it? After a long off-season in any sport there comes a time to dust off the cobwebs and get back on the park or in this case, the ice without points on the line. The pre-season can be a good chance to see how some players have progressed and gives a coach a chance to look at a few players that could possibly make the team. Many local players have come out firing in the pre-season and forced their way onto the team. With limited imports available, it’s a chance to see how your local depth is and of cause a few younger guys who get to train with the team, will get a chance to play. But what of the downside? Well there are things like depleted lines as you are generally playing with limited or no imports. A few other things that can impact on the start of the season are injuries and suspensions. Losing a player for the season or an extended period of time, can cause a few headaches for coaches and coached don’t need headaches. The pre-season can be a chance to lift silverware like the Wilson Cup, it can be a chance to give the home crowd a warm up for the season to come but it is a warning that hockey season is about to start, so get it together and be ready for opening night. This entry was posted in Articles and tagged AIHL, Australia, Hockey, Ice Hockey, Ice Hockey AIHL, Sport, Tonks on April 7, 2016 by craigtonks. Where to for the AWIHL? Have you been watching the NWHL? If you support Women’s hockey, you probably should be. The Connecticut Whale and the New York Riverters. The AWIHL is a great competition and the games have a great competitive spirit. hockey so I’m talking management of the game, not the players. So what can be done to drive the game forward and raise the profile? I really think the AIHL should have control of the AWIHL. make sense and give the AIHL and AWIHL a year long product. I for one would love to see some of the girls in the All Star Weekend or to have their own. I would like to see Face Cages optional and women have the option of wearing a visor. Now I know the AWIHL runs under IIHF rules so there would need to be changes. It should be about choices. Could the league have two more teams and still be competitive? A four team competition is fine cause everyone makes the finals but the game needs growth, some thing that is not easy. Expansion is not a dirty word and if the quality of players is there, then why not expand? There is interest from Canberra to have a team and if they’re keen then again why not. More women will be coming into the sport and lets have a national competition that’s progressive and keep setting the standard of an eilte league. This entry was posted in Articles and tagged Australia, AWIHL, Debra Jean Photography, Ice Hockey, Sport, Womens Sport on March 22, 2016 by craigtonks. 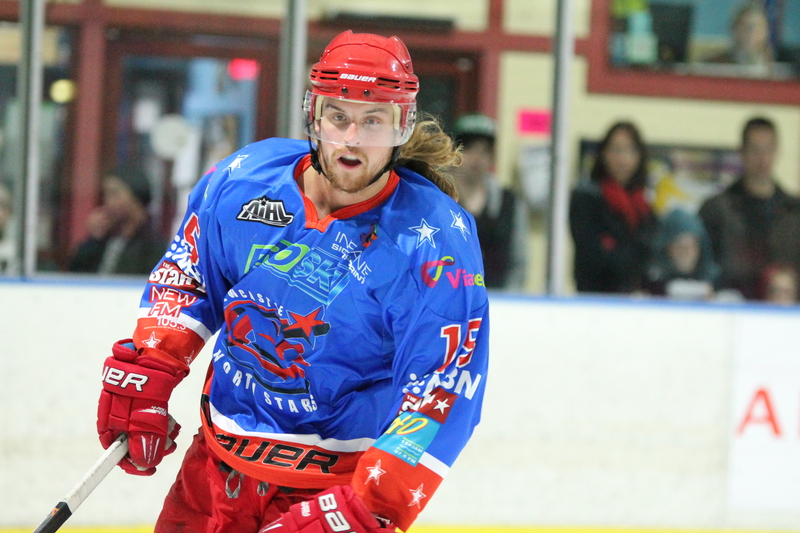 The Australian Ice Hockey League is a semi-professional league where many players still pay to play, so how do we get to a point where players can actually become cash positive? Revenue streams are something the AIHL always have to be careful with, the risk of becoming a losing entity always an issue. The whole issue is complex and there is no easy answer and every person has their own ideas so we only hope to raise awareness and open discussion. Let’s look at some of the ways we can work towards cash positive playing and this first article in a series looks at Merchandise. Merchandising is something clubs can make money from but it can be very hit and miss, some clubs do well where other clubs struggle. Would it be an idea to bring all the clubs under one manufacture where there is a quicker turnaround? The ability to be able to purchase a t-shirt, with club logo on the front with a player name and number on the back would surely sell well but they would need to made on demand as having them on the shelf is costly and again hit and miss. Go to some sporting events overseas and they can heat press a name and number on your selected t-shirt in minutes. Currently in Australia, the Newcastle Jets A-League soccer team, currently offer this service for jerseys even if there is a cost involved of $25. A previous attempt with Majestic Athletic to have centralised merchandising, was not what you would call successful however the current model is not better. The possibility of centralising merchandising means clubs don’t have the outlay cost to have volumes of stock on hand but clubs would possibly sacrifice a percentage of profit to have access to a larger range. A look at the website for PHA Promotional shows no t-shirts or hoodies on sale however if you want a puck or phone case, you’re in luck. The Sydney Bears made a big leap this year when the produced players pucks which looked great and could be signed by the player it’s self. The CBR Brave may have got off to a slow start with merchandise but the current range looks fantastic and has a really strong brand presence. Canadian Australian Chamber of Commerce could be an organisation that can link up Canadian companies to the Australian public to offer sponsorship for teams or the league. The ability of companies like Air Canada to sponsor the league and benefit from the exposure that the Fox “Game of the Week” provides could work for other companies too. Could companies like Blackberry or Costco benefit from sponsoring the AIHL in some way? Could companies subsidise merchandise by having their logo on the sleeve? This entry was posted in Articles and tagged AIHL, Australia, Ice Hockey AIHL, Sport on July 19, 2014 by craigtonks.